Odds are you’ve heard about the new genre Tropical House that’s tearing up the charts It’s sure to be a hugely popular genre during the festival season and beyond. This tutorial course will arm you with the knowledge and skills required to make a Tropical House track using industry standard software instruments, plugins and mixing effects. This Tropical House Production course covers every aspect of making a Tropical House track and even includes a section on recording/mixing vocals! It literally covers everything from how to write melodies and chords to polishing off the perfect mix and everything in between. Lift the lid on the production process for making Tropical House. Listen to the sounds and bonus vocals in action! I’ve never understood why EDM producers start with the kick. That’s not the most important part of a track. It’s up there, but having a memorable drop and or hook is more important. Each video contained in this section will arm you with the knowledge on how to write great sounding melodies and chord progressions. That’s where this course starts. Get a detailed insight into how I create my melodies and chord progressions. 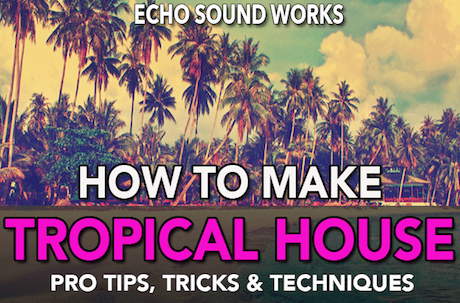 This video details the basics about Tropical House. Things like tempo, chords, instrument selection etc. This video shows you my personal way of coming up with chord progressions. It’s 70% by ear and 30% music theory. This video will show you the concepts behind layering chords with different sounds and inversions for a nice full sound. Learn how to write your drop melody. I will show you my personal process in real time. We will also make some sounds used in the drop section. Learn how to beef up you drop melody by layering sounds from various synthesizers like Massive, Sylenth and Serum. This Core Element section focuses on creating the groove and building out your drop section a little bit more with drums and percussion. I will cover even show you how to create the prefect kick drum by tuning it to the key of your song. The kick is one of the most important parts of a Tropical House song. 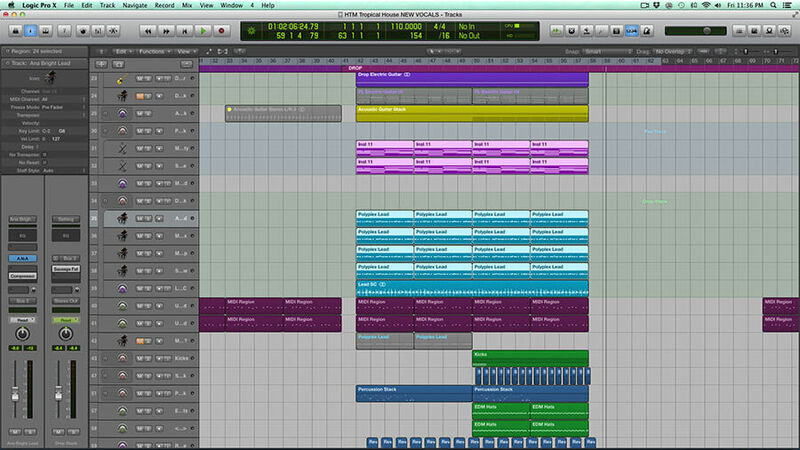 Learn how to make one that not only fits the genre, but also your track. Learn what types of samples fit the genre of Tropical House as well as some great tips and tricks that will allow you create better sounding samples. 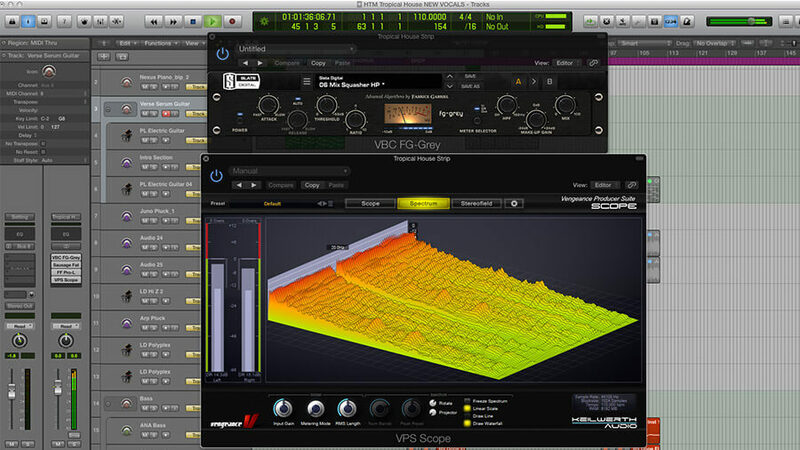 Learn how to start creating the percussion bed for your track. Tropical House typically employs various percussive elements like bongos and other hand drums. Learn how to program realistic sounding hi hats. This is a great video for other genres of EDM as well! Learn how to add a bass to your chord progression and your groove. Now that you have the low frequencies sorted out with the Kick, finding the perfect bass becomes easier. You will learn how to make a full Tropical House track from start to finish. And no, I’m not going to loop 8 bars over and over for 3 minutes. You will learn how to write a drop, chorus, breakdown and intro/verse. 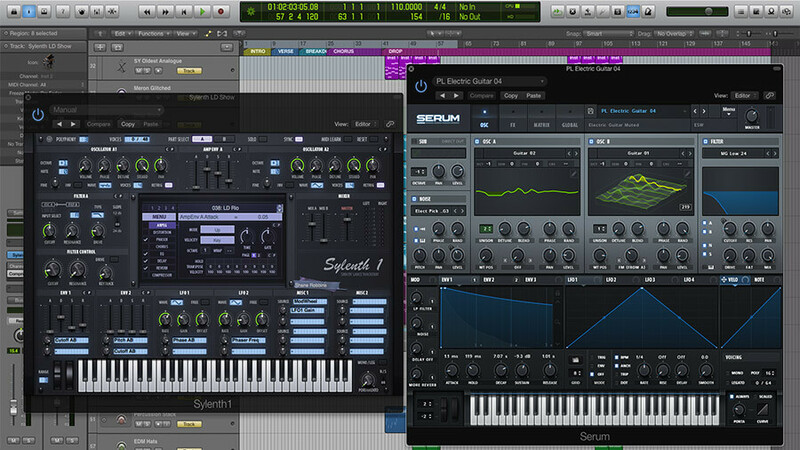 You will also learn sound design tips in Massive, Serum and Sylenth! As an added bonus, I’ve even added a section on recording and mixing vocal melodies! I was lucky enough to work with the very talented Meron Ryan for the project. She has worked with labels like Monstercat and Spinning Records and has features with Eminence, RedMoon, Mr FijiWiji and more. You will also get to see a highly optimized work flow process that will allow you to finish your tracks quicker regardless of what genre of EDM you like to work in. This course is broken up into 15 in depth videos that cover everything from writing your melodies and chords, to setting up your beat, arranging your song, recording live vocals and of course the final mix down process. By following these 4 Core Elements, you will not only find that starting a song is less intimidating, but you will also notice that you finish tracks quicker than before. Arrangement is a very important part of the Core Elements. 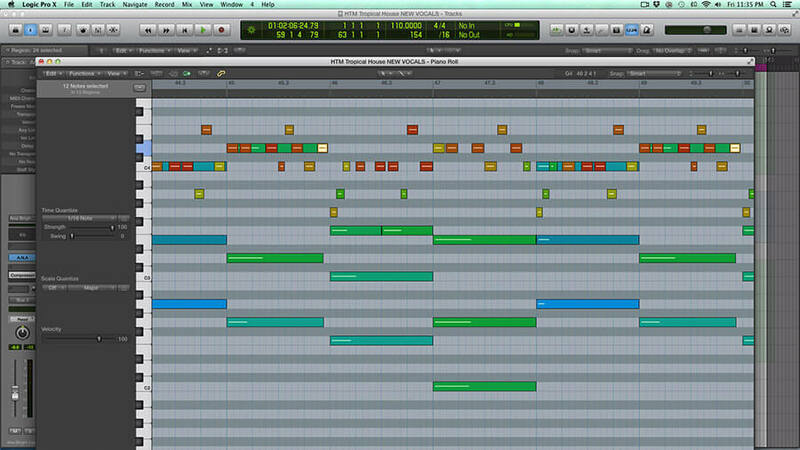 This is where your song will start to take shape. We will expand the drop section and map out the intro, verse and breakdown of the song. In this video I will show you how to expand the track and create individual sections like the verse, breakdown and intro sections. The final part of this process is mixing the track. We start with the drums in the drop and go from there. Learn how to mix vocals for any genre of EDM not just Tropical House. I was lucky enough to get Meron Ryan in for a session on this project and you get to see how to take a dry vocal to a processed, professional sounding track. In this section, I start to build out the intro and verse because we now know how to make it fit with our drop section. In this video, you will learn how to professionally record vocals. I show you everything including preamp selection, microphone placement and of course gain staging. BONUS #1: 7 synth patches that was used in the making of the track.